Start the morning with this act of love. Today I am fortunate to have woken up, I am alive, I have a precious human life. I am not going to waste it. I am going to use all my energies to develop myself, to expand my heart out to others, to achieve enlightenment for the benefit of all beings. 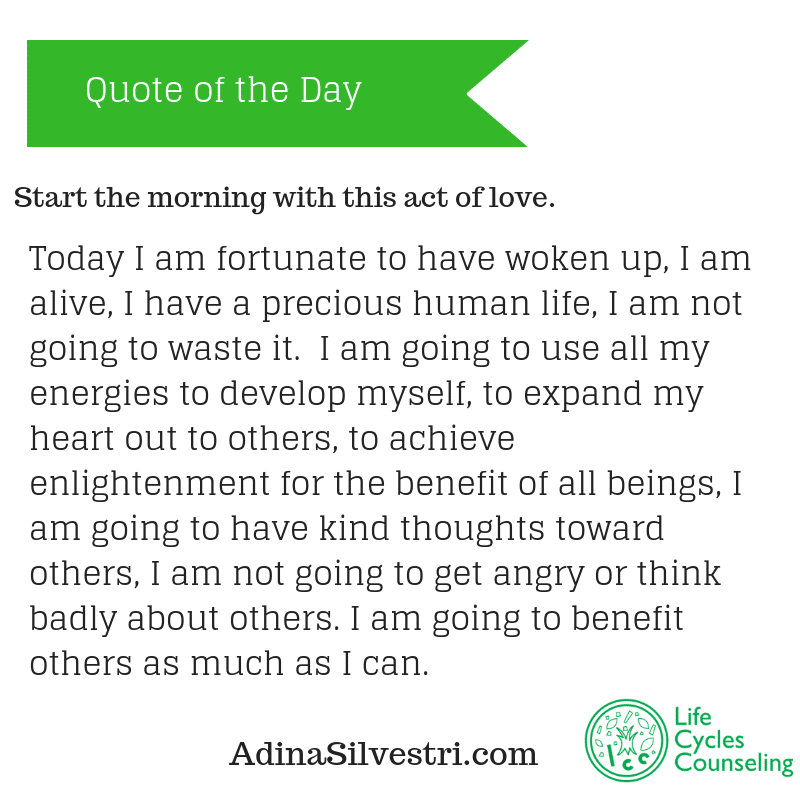 I am going to have kind thoughts towards others, I am not going to get angry, or think badly about others. I am going to benefit others as much as I can.